Service operation encompasses the day-to-day activities, processes, and infrastructure responsible for delivering value to the business through technology. In Service Strategy, Service Design, Service Transition and Continual Service Improvement, we create value. But, no service is consumed and no business activity is experienced. Because users can access the service during service operation, we need high support levels to keep service consumption at high-levels. No customer wants to pay for a service that does not perform as needed or is not available for usage. Consumerization and service experience is a key factor in service operation. The goal of service operation is to maintain day-to-day services to the point that there are no issues. When issues do occur service operation principles dictate response based on business priority. Service feedback from service operation throughout the ITIL service lifecycle enables continual service improvement. Service operation encompasses the day-to-day activities, processes, and infrastructure that are responsible for delivering value to the business through technology. Just as most people expect the lights to turn on at every flick of a switch, business users have become completely dependent on the capabilities that IT services enable. Think of service operation as a managed service provider or a utility company responsible for providing the power that customers need to do their jobs. Without electricity, many activities would come to a halt. Further, without the processes to ensure the delivery of that electricity, the service would be unreliable. Utility companies must also be proactive, for example, trimming trees to prevent outages from falling branches that may sever electric lines. Customers don’t care about all the required resources (e.g., people, process, and technology) involved in delivering electricity to their homes. They just want reliable service when they need it and at a fair cost. IT users have similar expectations about consuming technology services. As a result, IT organizations must work to ensure that the underlying service delivery and support infrastructure is optimized to provide continuous value and service to their customers. 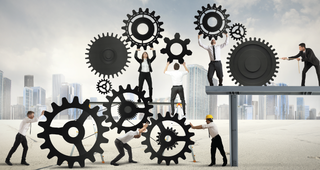 Effective operations teams must first work to prevent problems. If an issue occurs, they must understand the impact from a user’s perspective and then follow up with swift, corrective action to restore service. Just as a utility company provides various service packages to its customers— such as energy conservation programs along with the delivery of gas and electricity— IT offers a catalog of services to its customers. ITIL Service Operation focuses on the well-planned capabilities, functions, processes, and controls that need to be in place to provide continuous utility to the business based on the promised warranties and service level agreements (SLAs). ITIL Service Operation stresses the importance of measuring the experience from a user perspective, instead of merely monitoring all of the discrete infrastructure components. User consumption of IT resources for software as a service (SaaS), platform as a service (PaaS), and infrastructure as a service (IaaS) is totally dependent on IT asset availability. Operations must be agile and high performing; otherwise, users will seek alternate solutions to enable business outcomes, introducing new risks and complexities. IT must be able to create a “consumerized” experience for users who interact with the services they provide. This experience should expand on the concept of user self-service and work effectively with mobile computing platforms. With the growth in Bring Your Own Device (BYOD) initiatives, you need to manage personal devices with the same rigor as any other corporate-owned device. 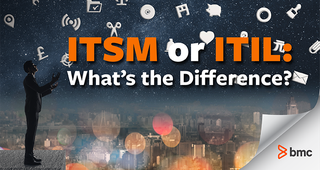 Finally, as more people turn to social media for IT support, you need to incorporate and integrate social media channels with your IT Service Management (ITSM) solutions to enable the service desk to easily and seamlessly engage with the user. Each stage of the lifecycle influences the other stages and relies on them for input and feedback. This interaction and interdependence between stages creates a lifecycle that is highly dynamic in nature. For example, service operation should include a strategy for improvement initiatives. Service operation is directly supported by service strategy and continual service improvement, and the results should be designed and transitioned into operations effectively and efficiently. IT needs to be integrated with the business. By following the principles of service operation, IT can increase its standing as a strategic business asset. IT must demonstrate specialized skills, capabilities, and resources to support business outcomes. With closer collaboration, IT can help the business become more effective, efficient, and economical. 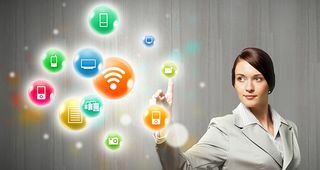 Through innovations, such as cloud computing, social, and mobile technologies, IT can help the business unlock new opportunities and explore different ways of working. IT operations can help deliver the power its customers need to be successful. Ultimately, IT should aim to provide users with the same excellent experience at work that they enjoy with their personal devices. In a very real sense, the expectations that users bring into the workplace are helping to increase the performance of the IT organization.